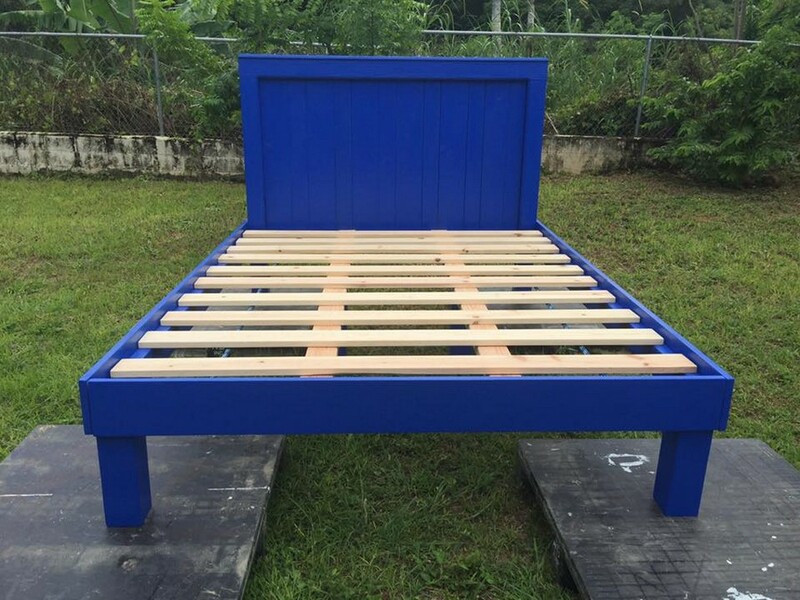 Whenever we plan to buy some wooden furniture item from the market, the article that scares us the most is to buy a queen sized wooden bed because a lot of material and timber is used in the making process. And same is expected when it comes to the prices that are sky high for sure. 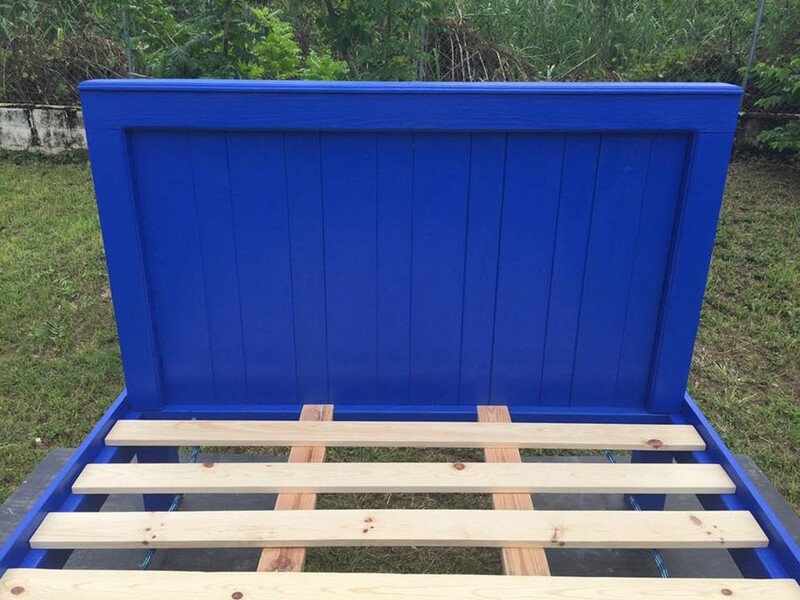 But the wood pallet has resolved our all such issues as we can make any wooden article using these raw wood pallet planks and design them just the way we like them to be. 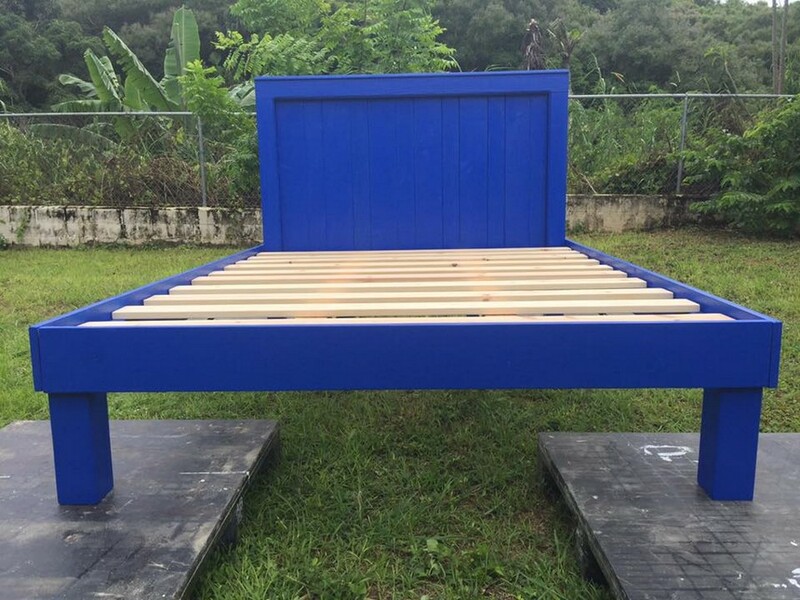 As here we have got a queen sized pallet bed frame with headboard just for you guys. 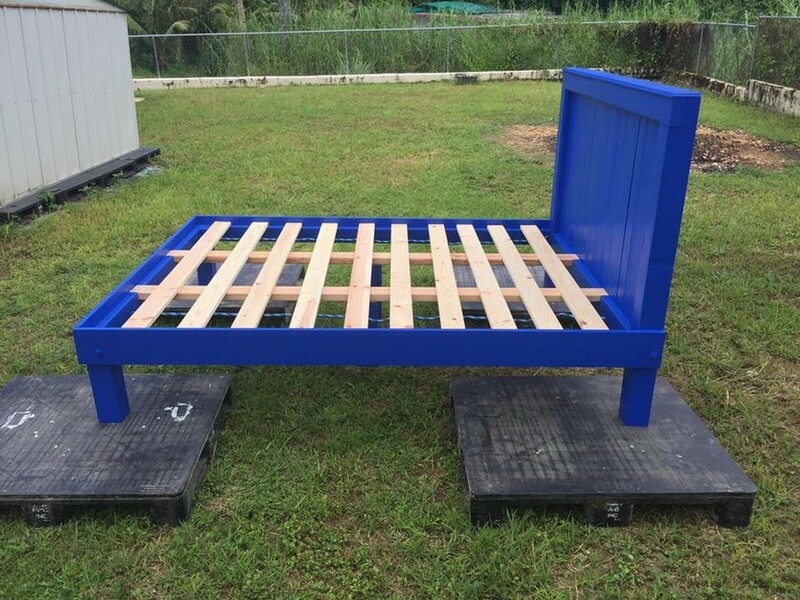 Before we get started with the project, just have a look on the awesome shade of blue that is used here for staining the room bed. Although this is a bit irregular shade that is used for wooden furniture items but I guess it has created a very nice impact. We have plans to make a queen sized room bed made with the shipping pallets, so one thing is pretty clear that we need the material in some huge quantities. And one more thing that would be good if we take care of is the quality of the shipping pallets. 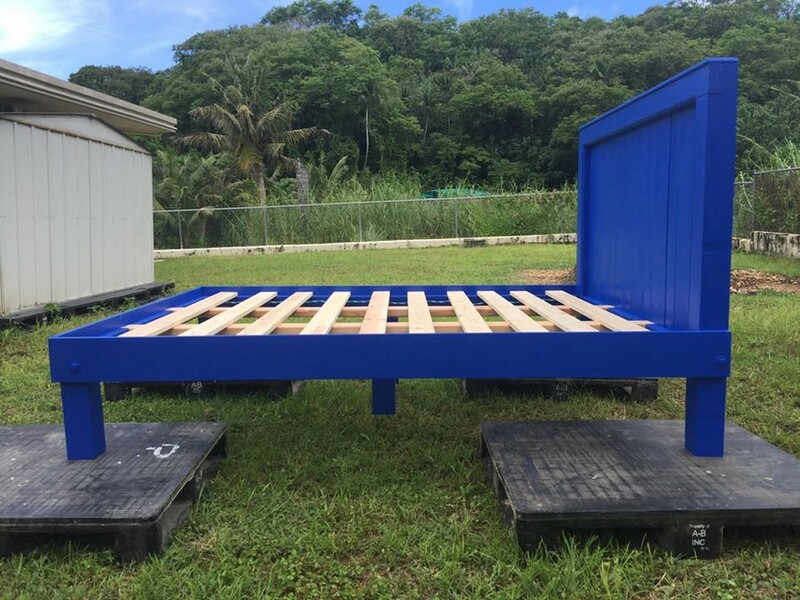 As this room bed is obviously meant to be placed inside the room so we were very cautious while making the selection of the shipping pallets. So we have chosen some very fresh and clean wood pallet planks for the project. 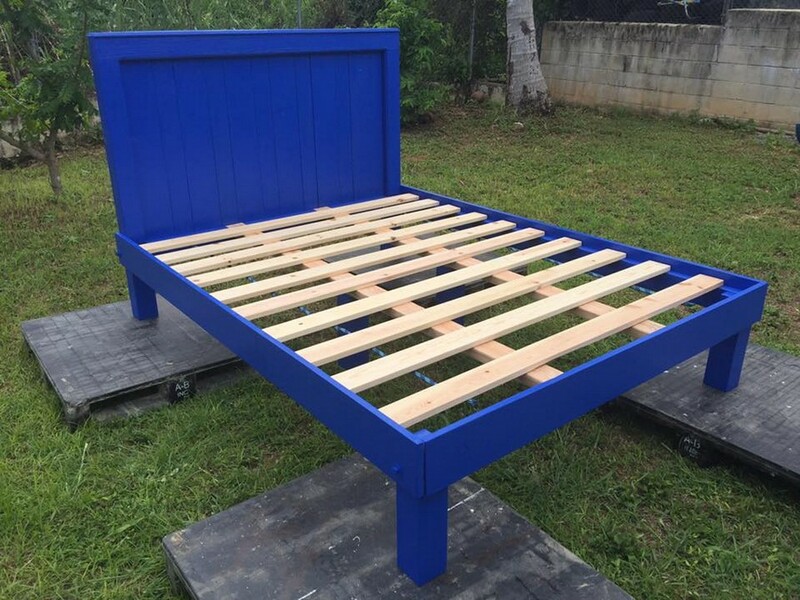 Now look at the frame of the bed that is entirely made using the wood pallet planks. We simply had to cut the planks to the size for making this frame. So make sure you have got all the tools that are expected to be used during the process. And if we talk about the headboard, that is actually attached to the main frame of the room bed. Usually we treat the headboard as a separate entity. But here we have attached it with the main frame. This makes the bed a single unit that has certainly got many potential benefits. Whereas the rest of the bed and its design is pretty simple. No un necessary extensions are attached, we have used the best shade that is very unique for wooden articles, you can also use any other hsade that you like or maybe goes with your room interior.